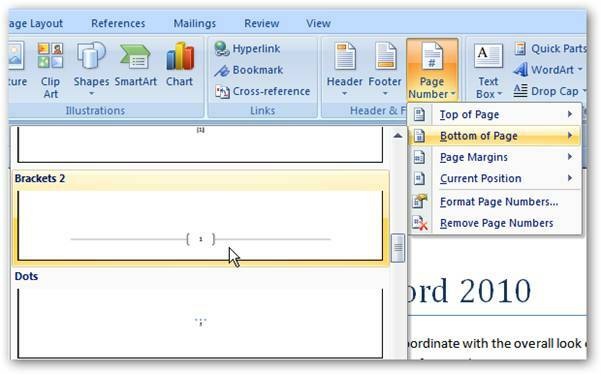 A lot of times you are required to insert page number in different pages of an MS office word file. Page number facilitates easy sequencing. They are extremely helpful when you need to get print outs of the word file. Having a page number ensures that you can easily arrange the pages in the right sequence. So, if you are not yet aware of sequencing your MS office word file, we shall provide you the right steps that can help you align the pages. Move over to the insert tab present in the top most rows. Scroll over to the page number section. You can find a lot of options in the drop down list. Current position and similar ones. You can easily see the different options available in the drop down list and select the right format that you want. After you have selected the right layout, click on the option, you would then see the page number at the designated position. You will find that the “Header and Footer” tab has opened. As you can see in the screenshot, the footer view has opened. In the “design” tab in the topmost row, you will have the option “Close header and Footer view” in the extreme right corner. The close header and footer view button is displayed for you. Click “Close header and Footer” and the page number are ready for you. Head to the MS office button. You can then see the layout of the page number. If you find it to be fine, your work is done or else you can repeat the process and modify the layout as well. 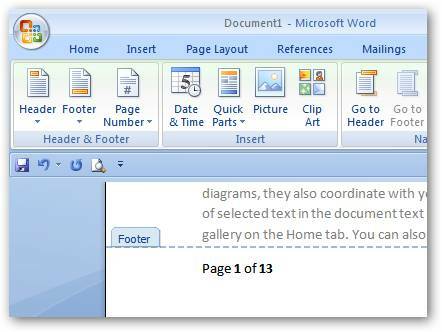 MS office word provides you a lot of flexibility with almost all options. Even with page number sequencing, you have a lot of options to work. Sometimes, it may happen that you want your page numbers to start from the second page or you want to alter the numbering pattern like roman numerals instead of regular 1 2 3. MS office word allows you to do all of this and more and we shall illustrate the right ways of doing it. Go to the page number section and click”format page numbers” from the drop down list. This is the dialog box that opens for your advance settings for format page numbers. The first option is the “Number format”. Roman numerals and so on. 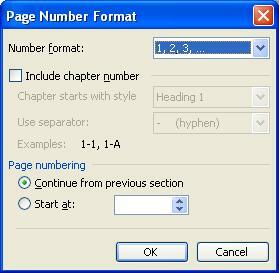 You can also select chapter headings for separating page numbers of chapters and headings. With these options you can control the pages from where the page numbering should begin and whether you want to continue the sequence from one section to another or not. For removing the different page numbers, you can simply select the last option from the drop down list that is “Remove page numbers”. Thus, this was the right way of page sequencing your MS office word file. If you are preparing a long file type document, sequencing the word file is recommended.